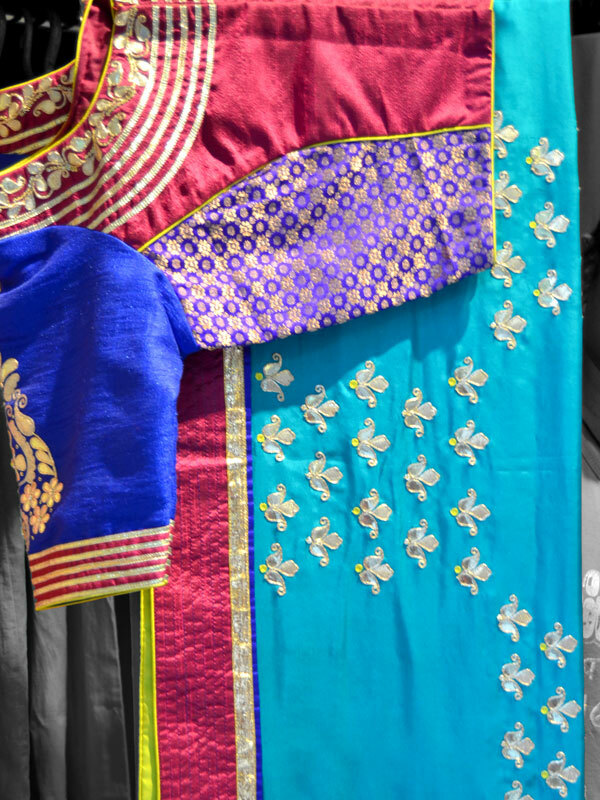 Rajasthan has always been identified as a mosaic of unsurpassed beauty. 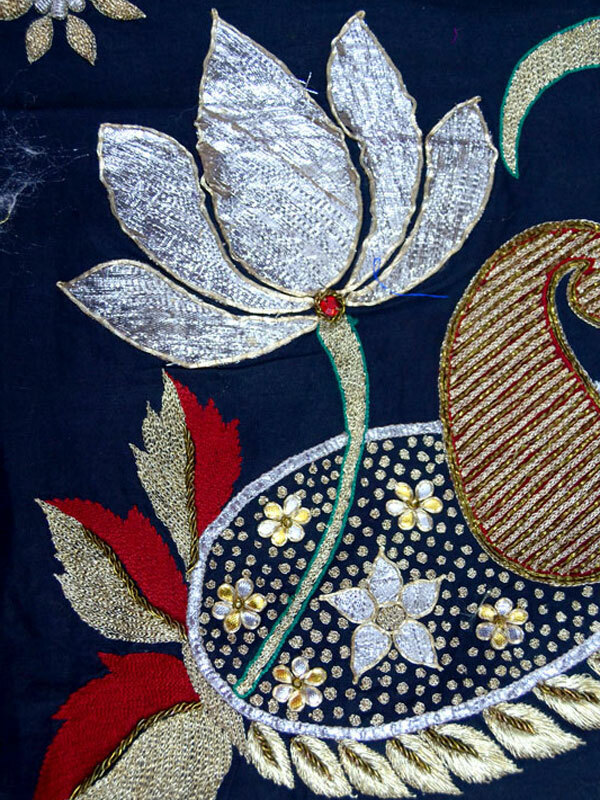 Though there are several arts and crafts prospering in the state, Gotapatti, a type of Indian appliqué-embroidery, leads them in all their glory. 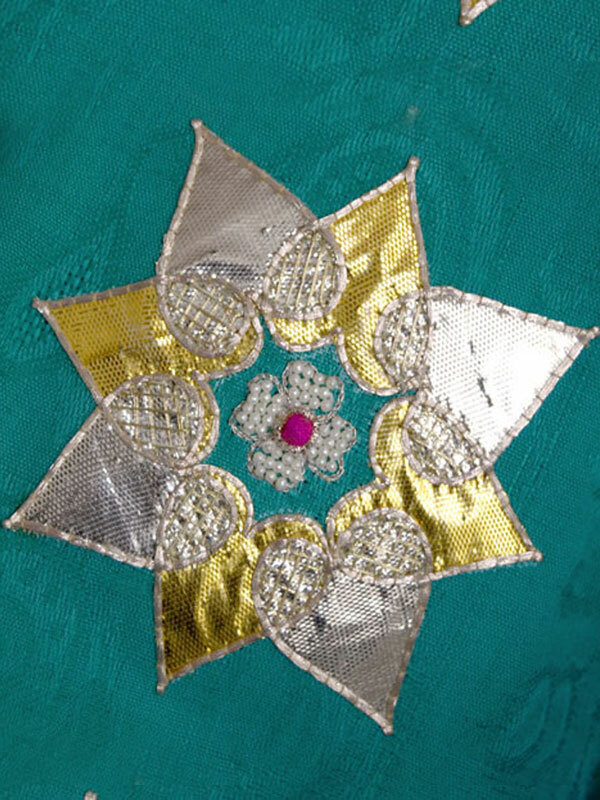 Outfits with Gota work, also called 'Lappe ka kaam', are worn at auspicious occasions, especially weddings. 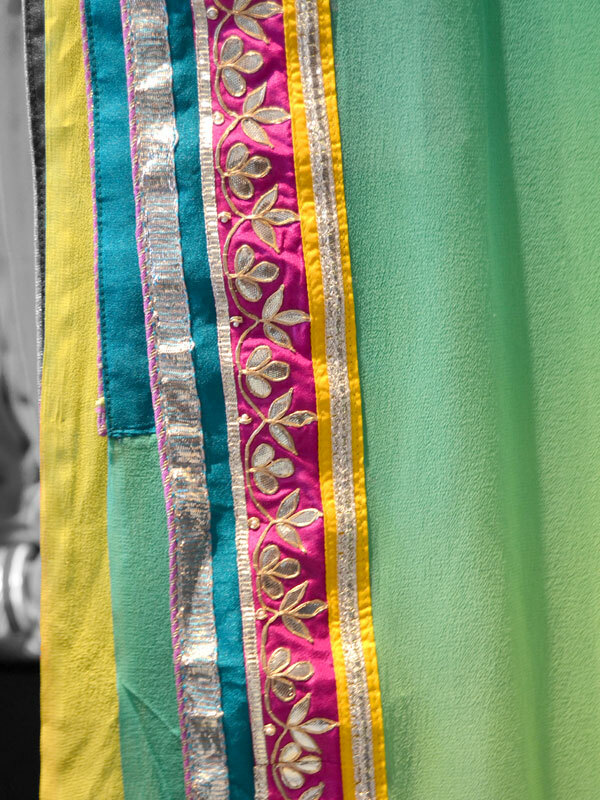 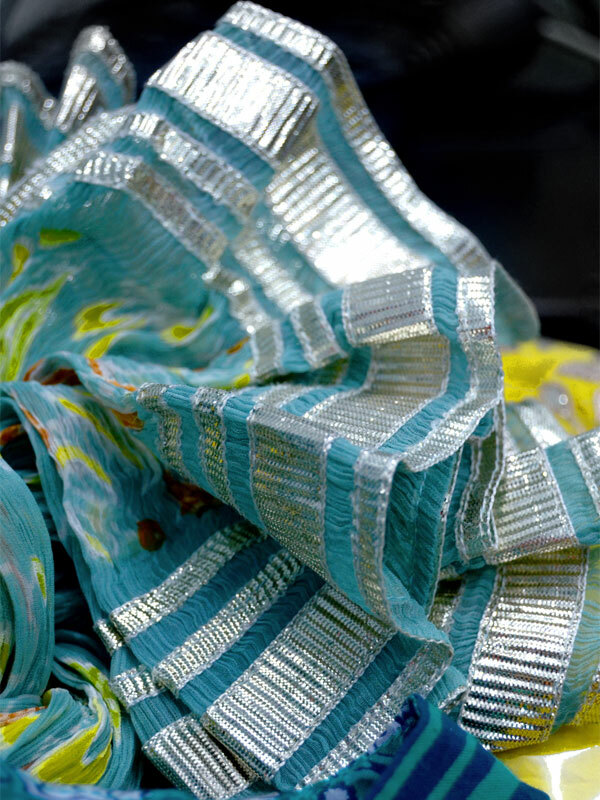 Traditionally, Gota ribbons were used as decorative trims for garments used by the royalty, members of the court, temple idols, and priests as well as for altar cloths at shrines and prayer offerings. 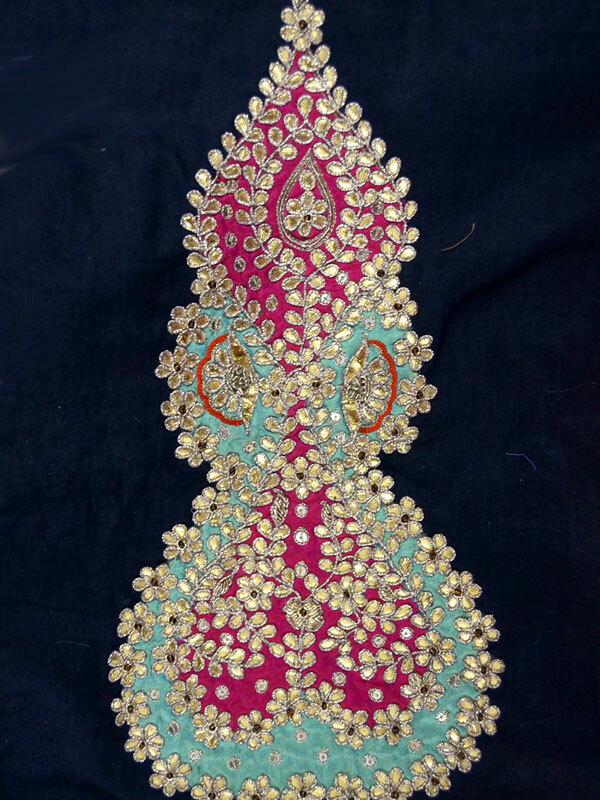 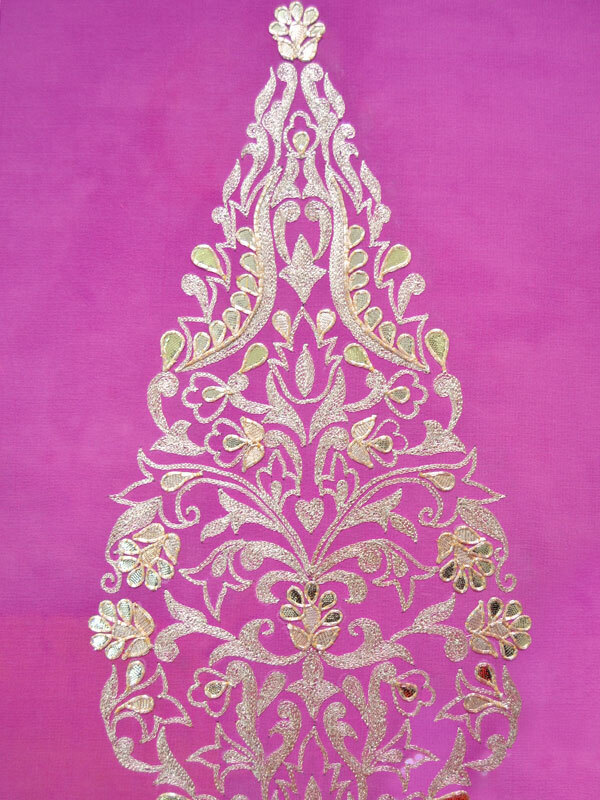 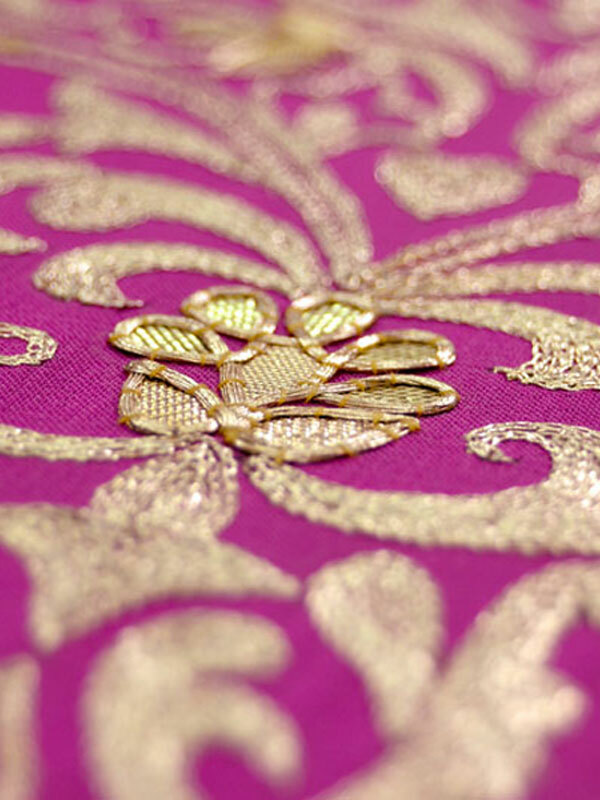 Gota work is essentially used for making women's formal costumes light in weight and rich in look. 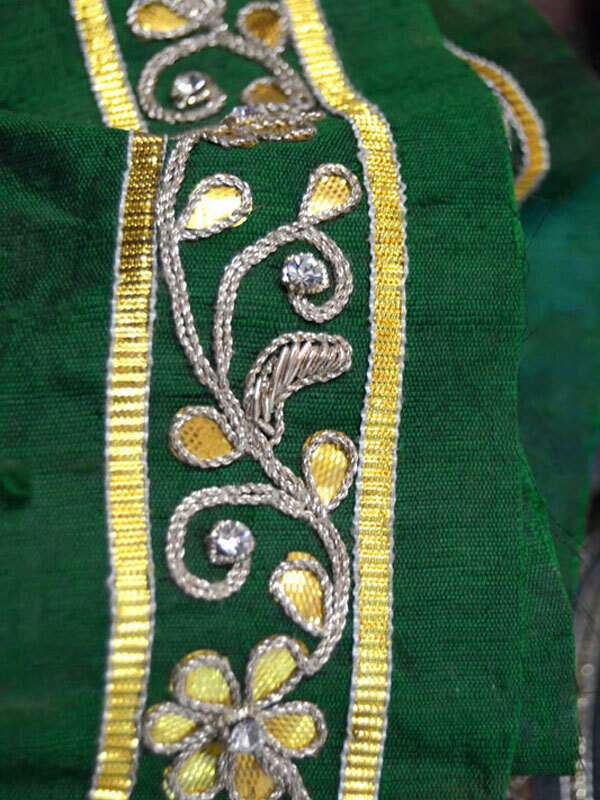 The master-karigars of this craft take great pride in their work and are a balanced mix of Hindus and Muslims. 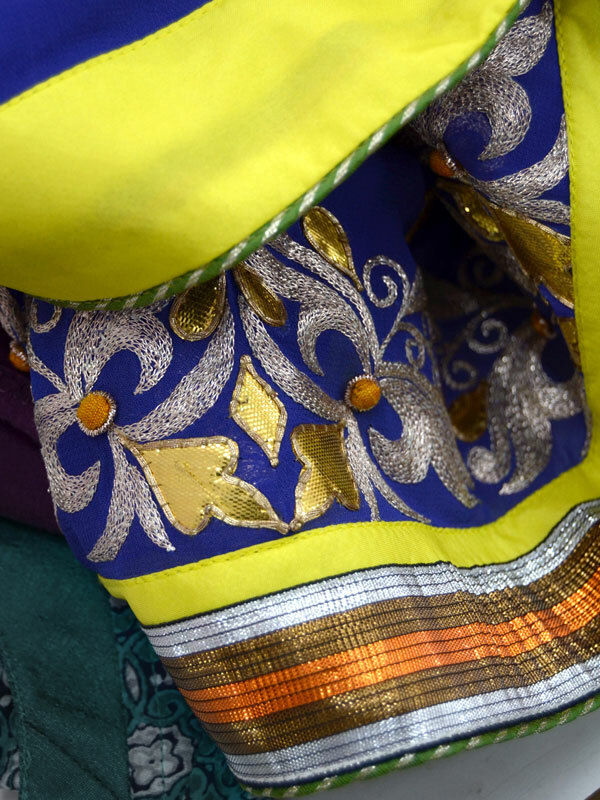 Traditional articles include turbans, lehenga-cholis, sarees, salwar kameez and dresses. 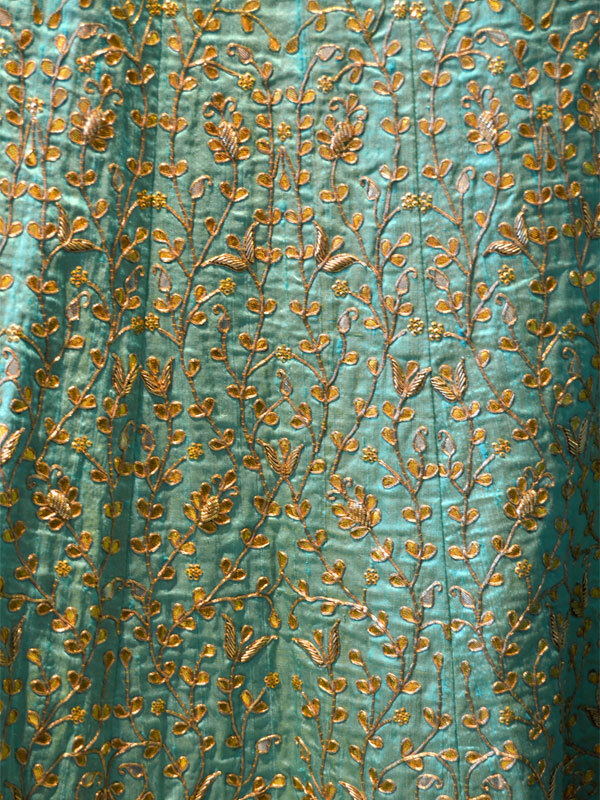 Contemporary ones include kurtis, tops, skirts, dupattas, stoles, cushion covers, mobile covers and decorative panels. 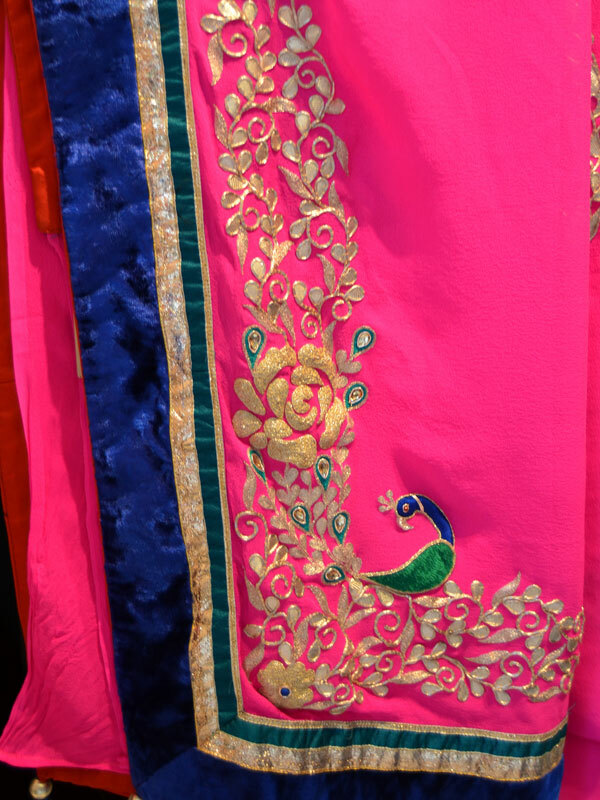 Predominant colors are hot pink, blood red, bright orange, fresh green and electric blue.